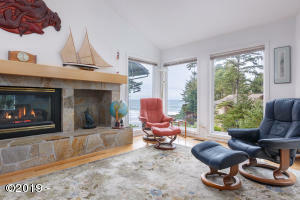 Private Cove Front Home, with spectacular views of the beach and ocean. 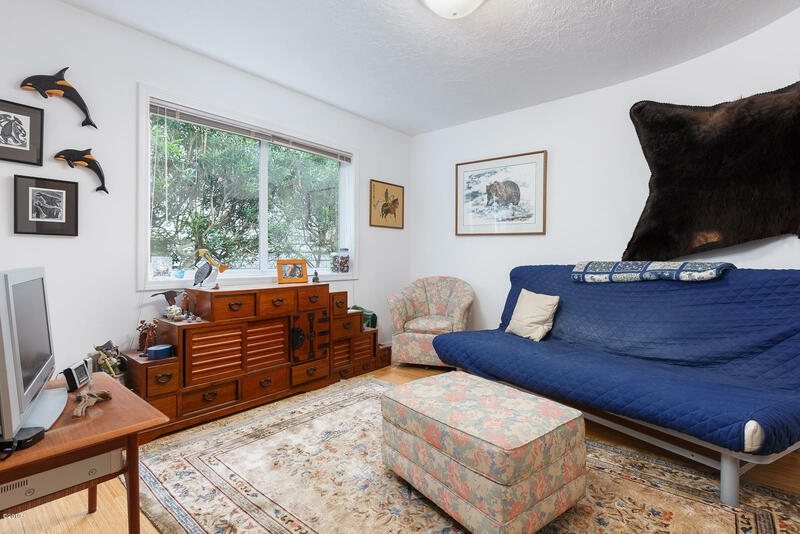 Spacious living areas, all with hardwood floors, many windows, gas fireplace and high ceilings. 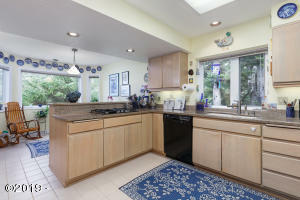 Gourmet kitchen with granite counters, gas cook top, built-in oven and microwave, large pantry and laundry room. 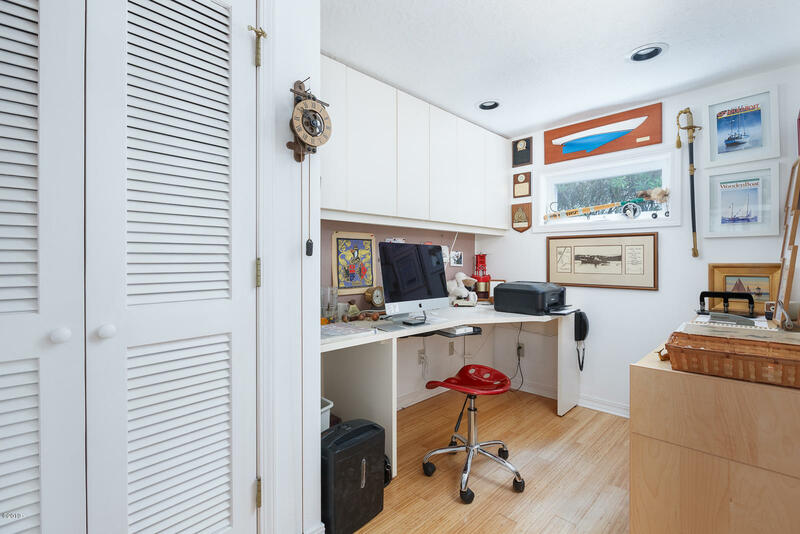 The main level also features a large display and storage and desk area, a powder room and a den with an office or a 4th bedroom. 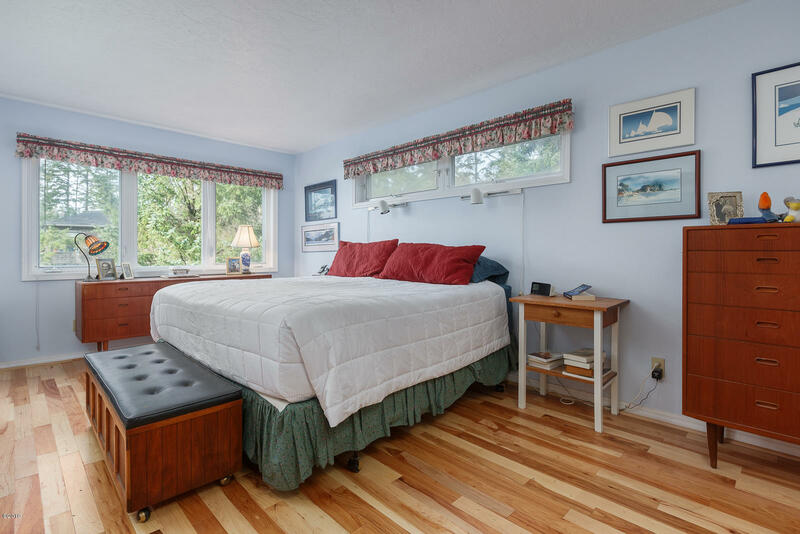 The upper level has also been up-dated with hardwood floors, a master suite with beautiful views of the cove and ocean, walk-in closet and jetted tub. 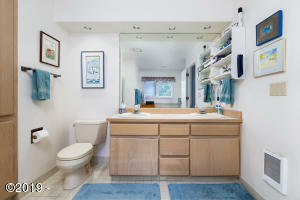 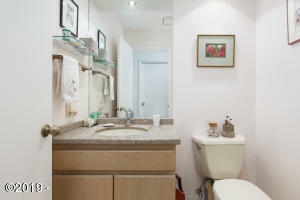 Two great guest rooms, a hall bath with granite counters and lots of storage. 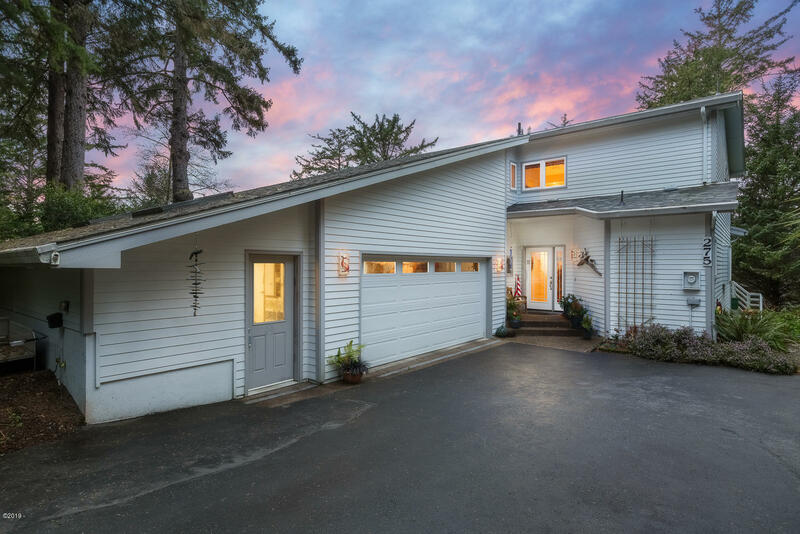 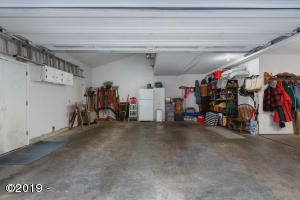 Large oversized garage has shop or studio with skylights and exterior door. 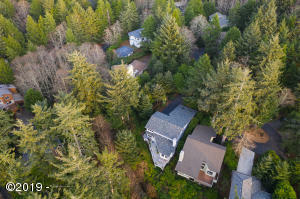 Private lot with beautiful landscaped grounds. 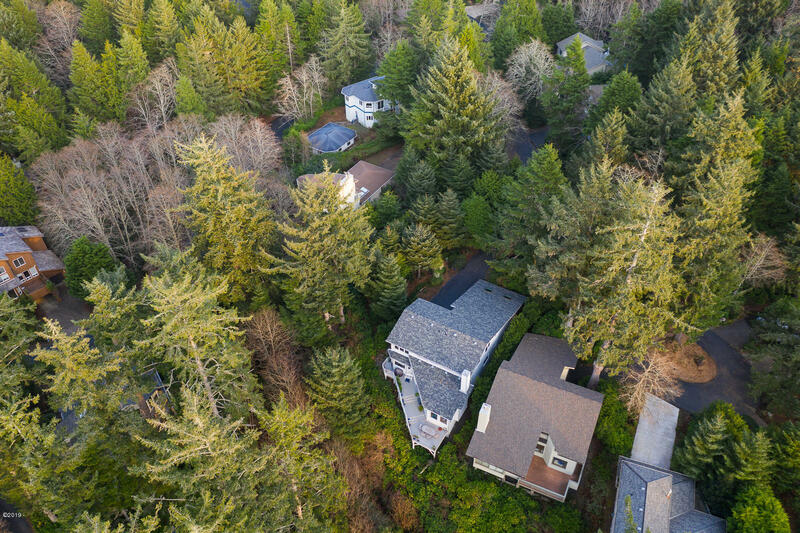 Adjacent lot available for sale. 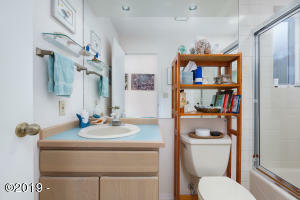 Imagine yourself living in a wonderful community with forested areas, walking paths, ocean vistas and a private beach. 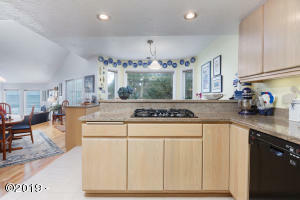 Come and view this home today and get this and a lot more. 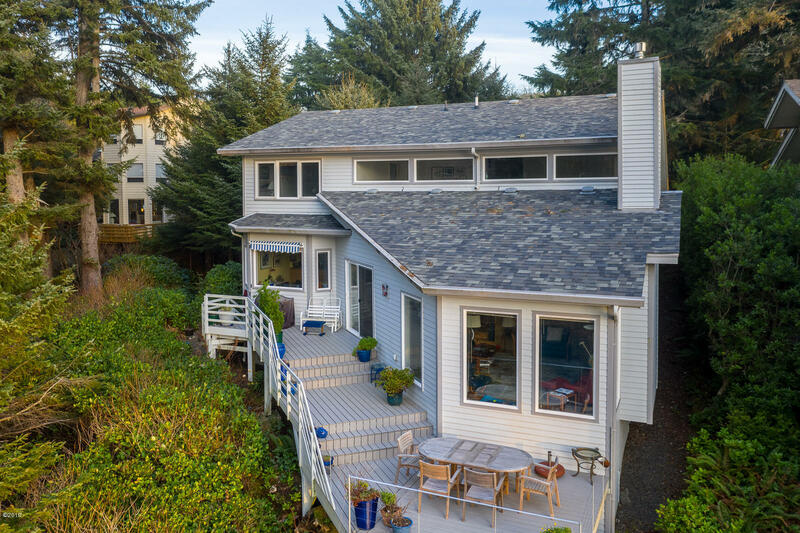 This home sits on a private lot with lots of trees and spectacular views of the cove, beach and ocean. The entry has an inviting glass door and a tile surface that flows into the hardwood floor that is in all of the living and bedroom areas. 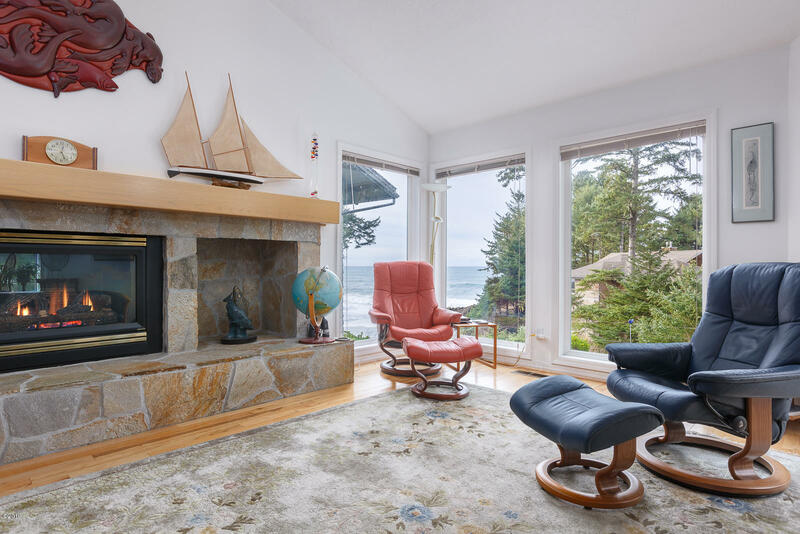 The sunken living room brings you even closer to the crescent cove and pebbled beach. There are many seating arrangements of take advantage of the view. 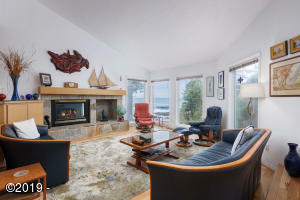 In the evening there is a gas fireplace to enhance your enjoyment. 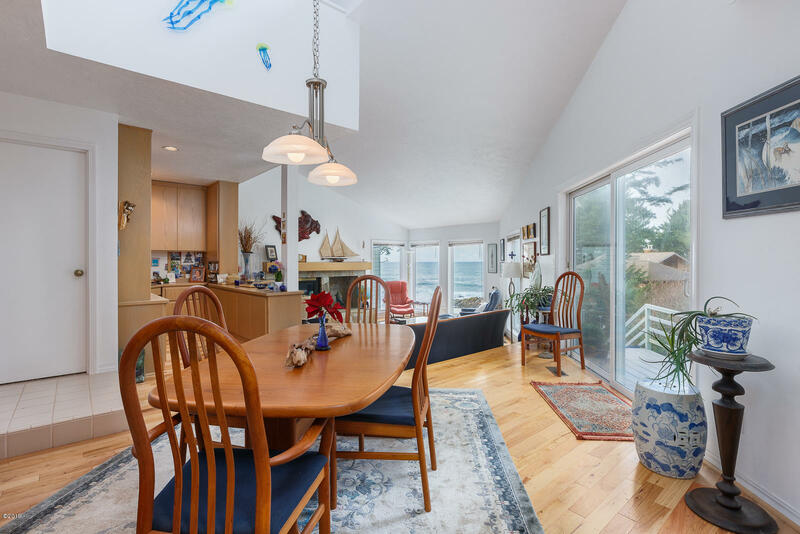 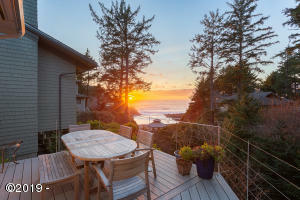 Coffee is served in the morning room adjacent to the kitchen, while evening meals can be enjoyed in the dining area or out on the newer trex deck that is stair-stepped just above the cove. The evening sunsets will take your breath away. 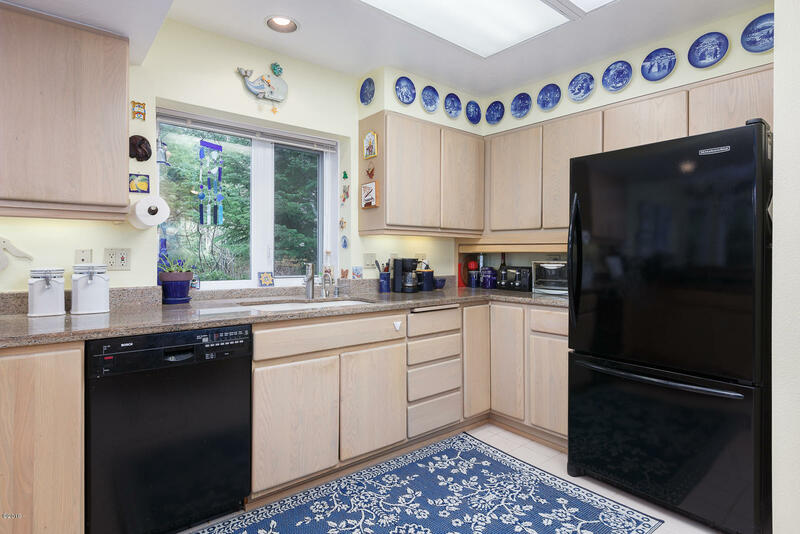 Speaking of the kitchen there is a gas cooktop that allows you to have a wonderful view while cooking some of our local seafood. 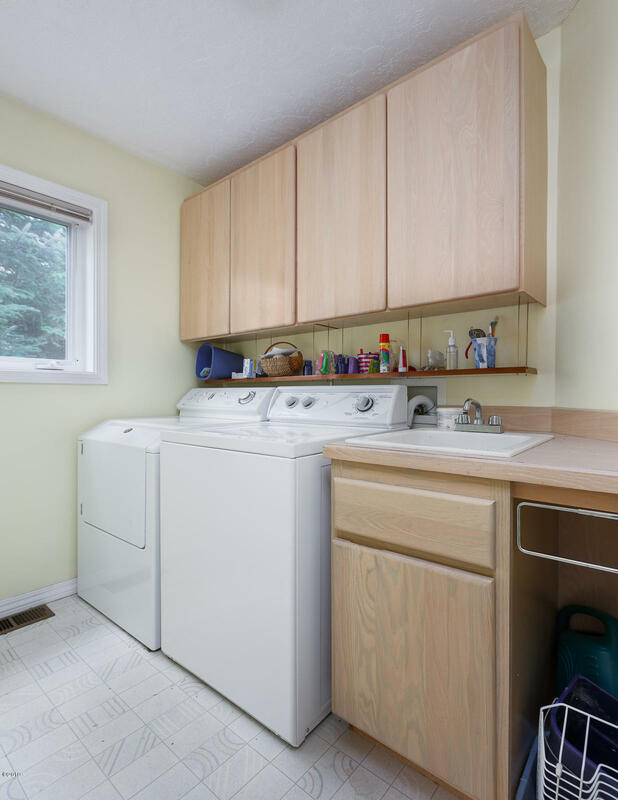 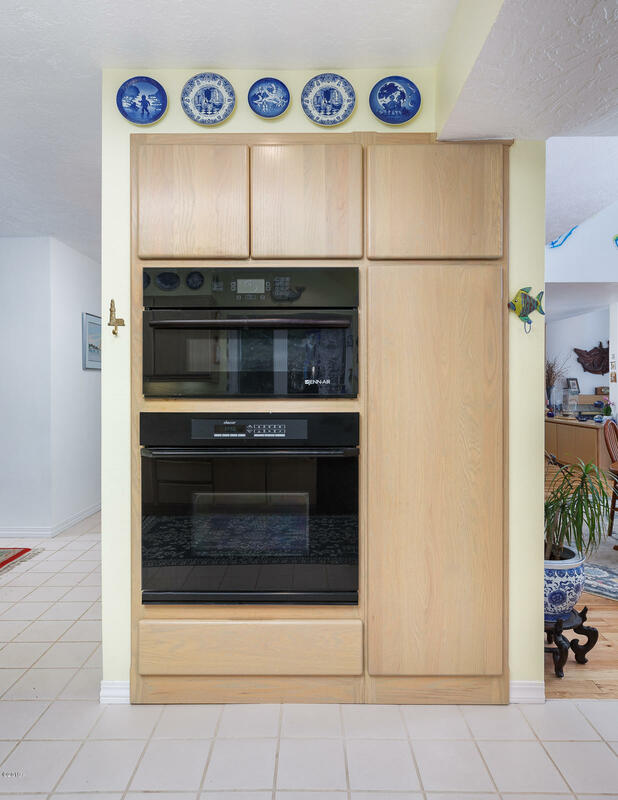 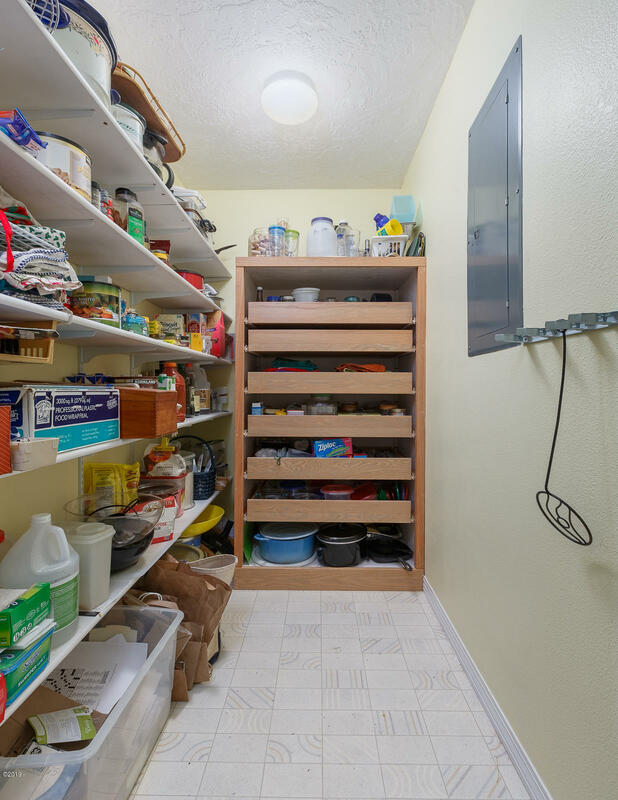 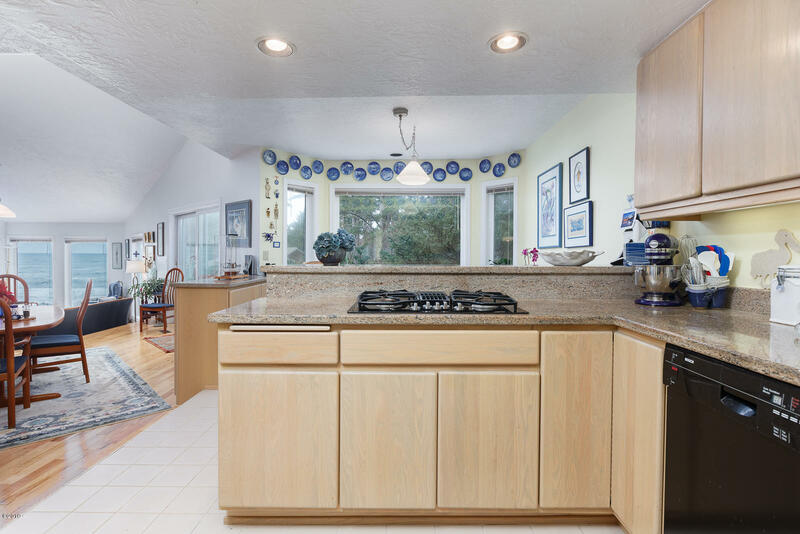 Behind the kitchen is a large pantry and a laundry room with a sink and lots of storage. 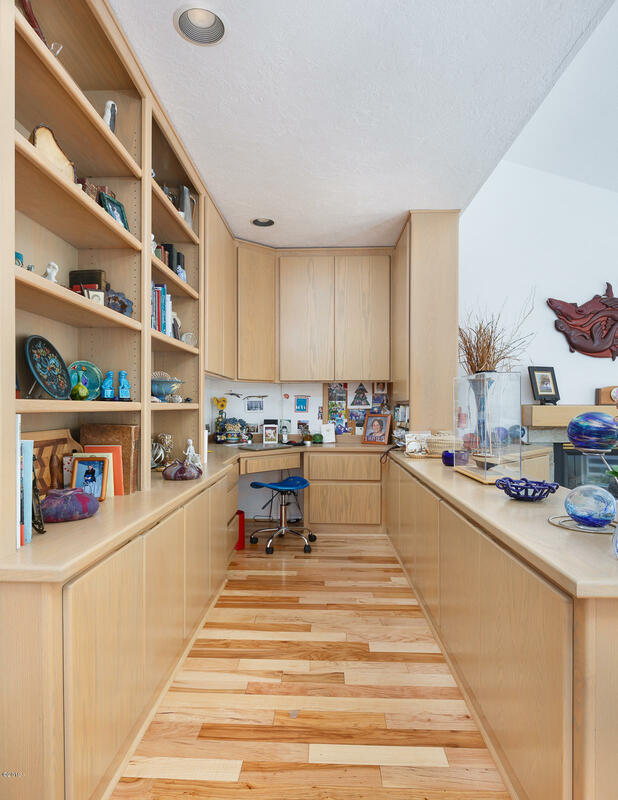 Also, on the main level there is an area with storage and display shelves and a built in desk. 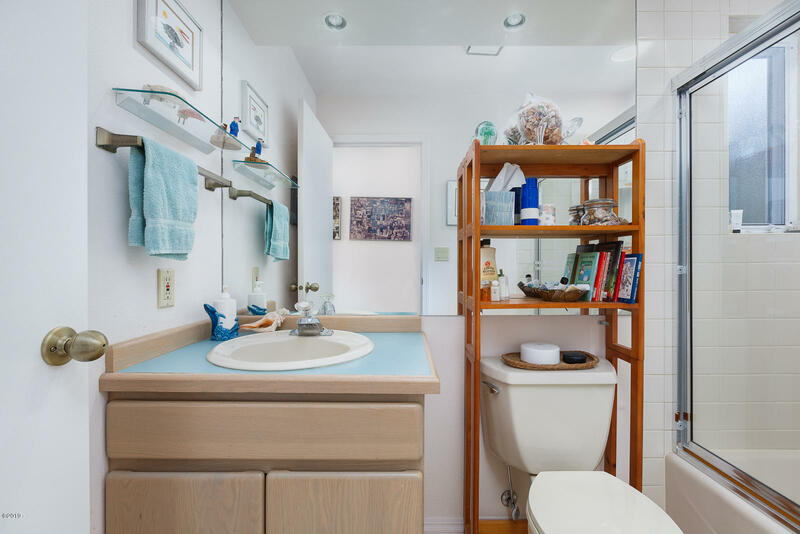 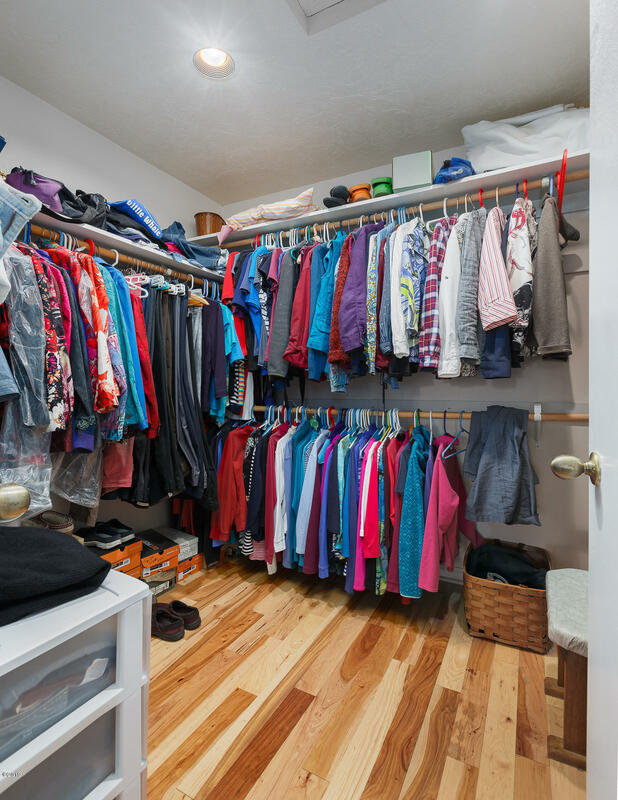 A powder room is just down the hall, where you will also find another room that could be used for a den, hobby room, office or a 4th bedroom. 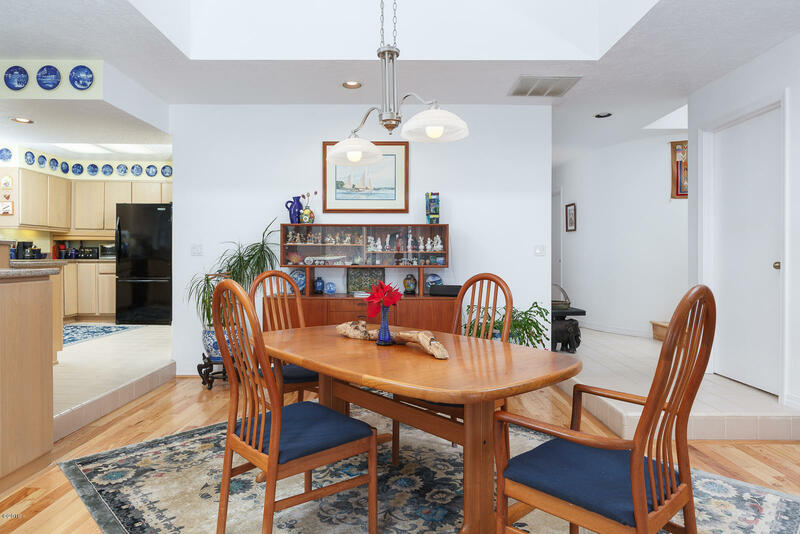 Hardwood stairs take you to the upper level, where you will find another space that the current owner has used for her hobby area. 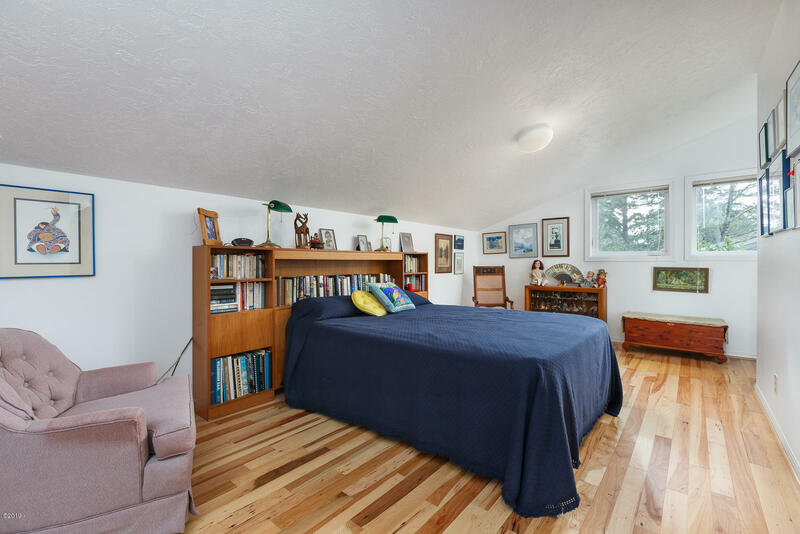 It has lots of light and would be perfect space for a small office or reading area. Straight ahead is the master suite with windows that overlook the ocean and cove. 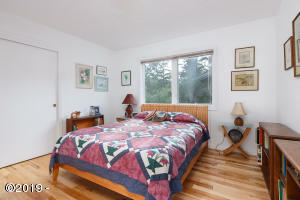 The master includes all the great amenities, walk-in closet, jetted tub and hardwood floors. 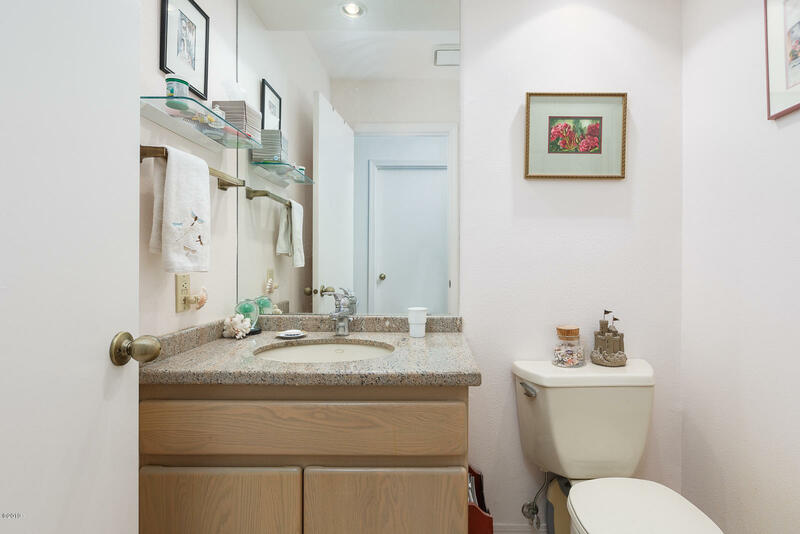 The guest hallway is lined with cupboards with lots of storage and takes you to the two guest bedrooms and guest bath with granite counters and a tub shower. 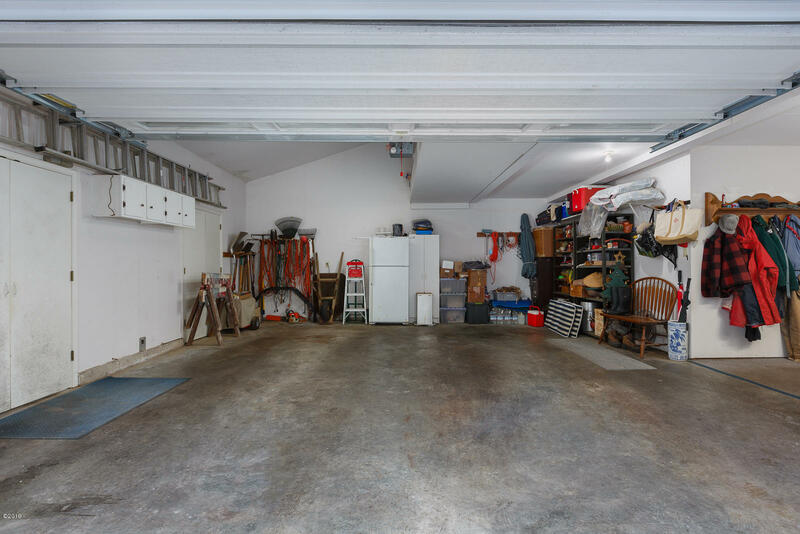 The two car garage is oversized and has counters near the entrance to the home to unload groceries or store “garage items”. 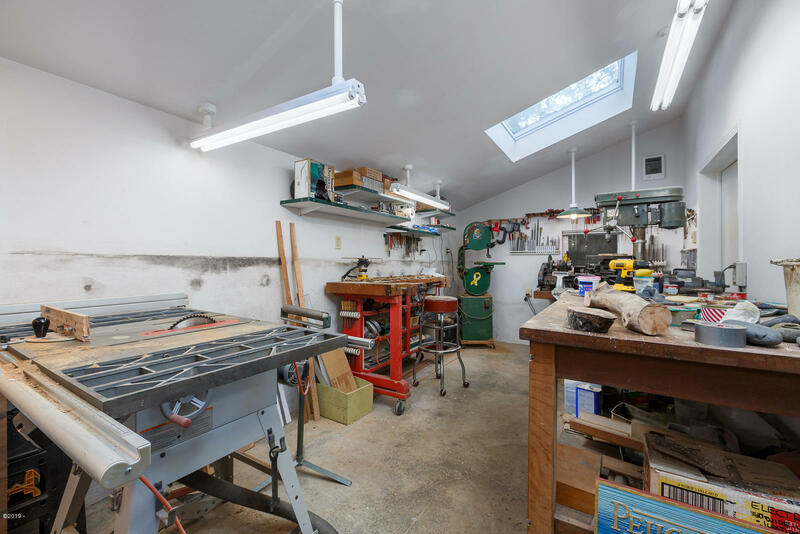 There is a separate shop or studio in the garage with two skylights and an outside door to the driveway. 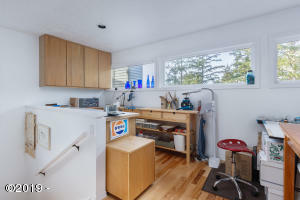 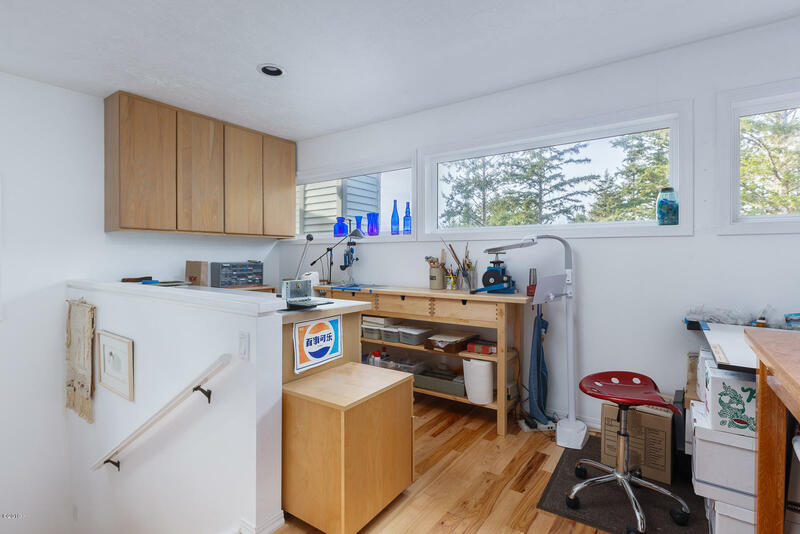 This is the perfect area for the handyman or hobbyist. The home was been well maintained and includes cedar siding, trex decking and a newer roof. 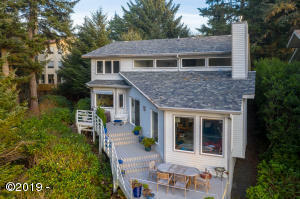 The lot has been landscaped to fit the natural surroundings using local vegetation. 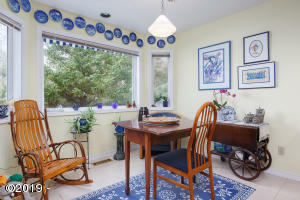 The adjacent lot TL 4000 will be offered to the parties who purchase the home first. Little Whale Cove is a development with many outstanding features one of the main activities are the walking and bike paths that lead you through forested venues or circle around the rocky cliffs over looking the ocean. 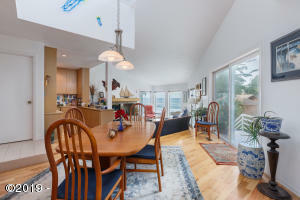 Along these pathways you will find benches to sit on, a whale watching gazebo and a gazebo overlooking the cove. 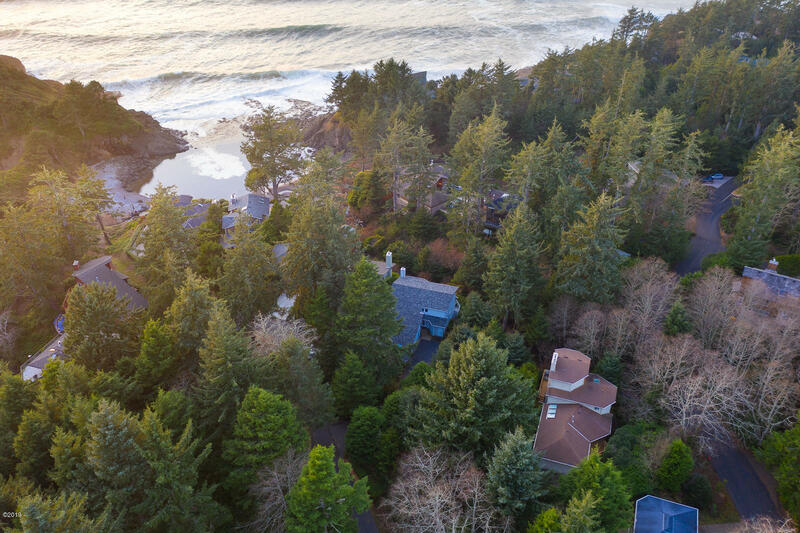 There is a 12-acre park with a boardwalk that has the “Lookout Gazebo” over looking the cinder cone. 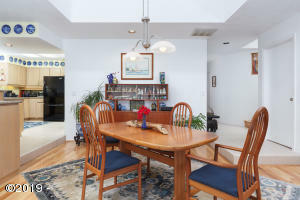 There is a recreation center with an indoor pool, indoor tennis court and exercise room. There is also a set of outdoor tennis courts. 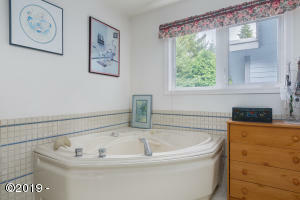 Other amenities include, private beach, security gate, underground utilities, saunas, whirlpool and protective covenants. 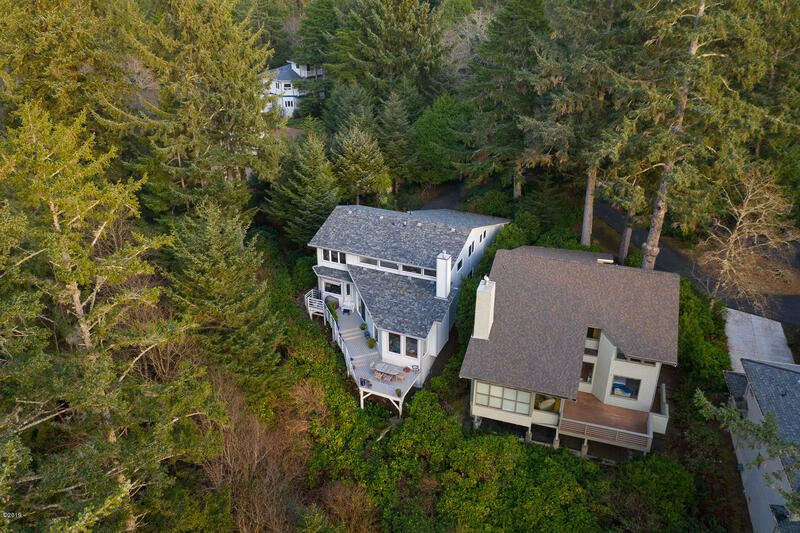 If you could imagine yourself living in this wonderful area, please call for an appointment to see this home today! 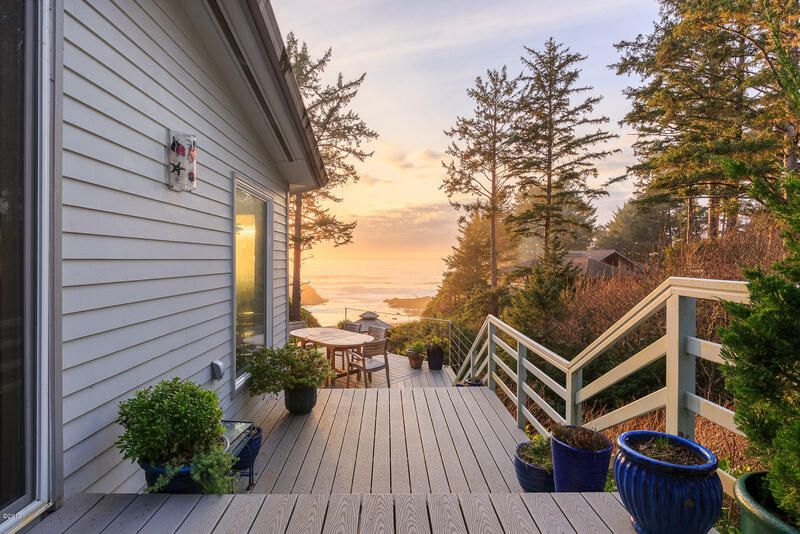 Directions Little Whale Cove Gate, Singing Tree, left on Tintinnabulary, left on Walking Wood, right on Midden Reach.